I had a fantastic day at Jamie Oliver's Big Feastival. Held at Alex James' farm, there was an insane amount of entertainment, and I met many chefs who looked familiar! 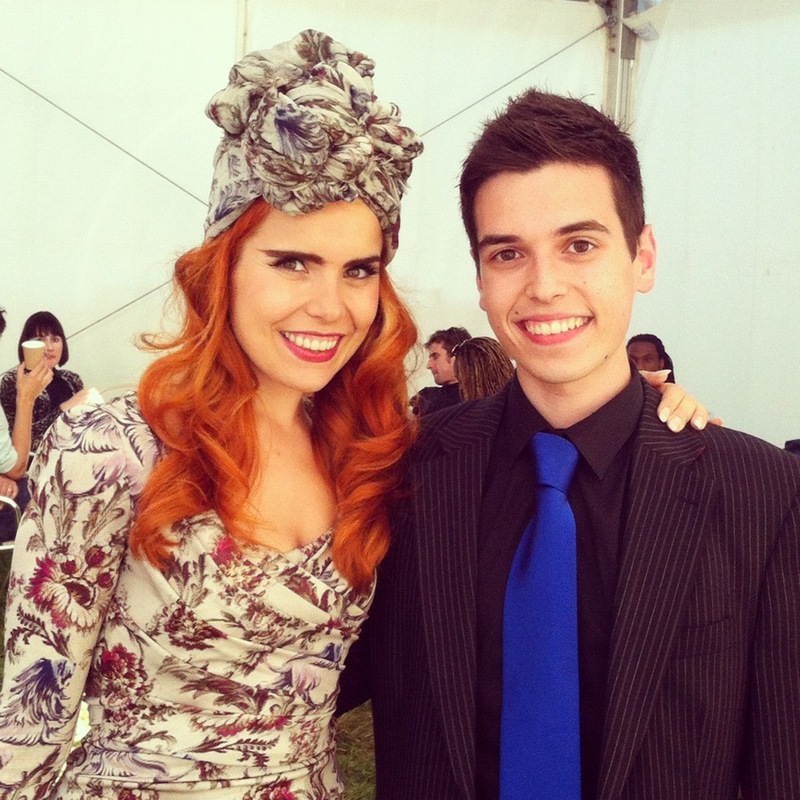 There was a variety of live music throughout, including The Noisettes who were fantastic, but the highlight of the day was meeting Paloma Faith, one of my favourite musicians. 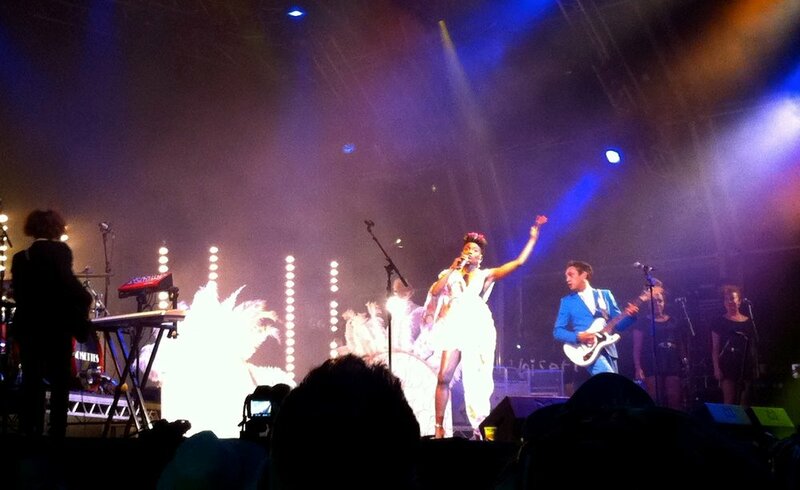 She is an incredible performer and knows how to put on a show! I think it was also the nicest food I've been given at a gig! 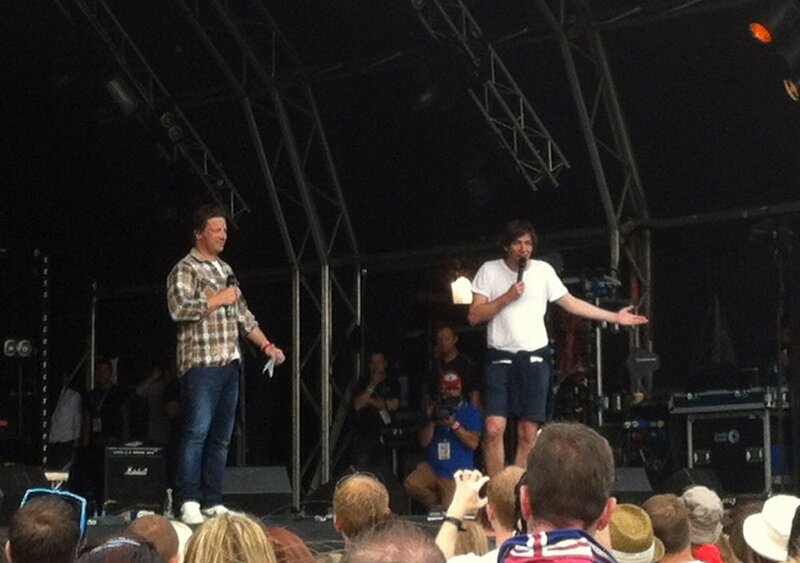 Jamie Oliver and Alex James declaring the day open! Cooking demonstration - the pros showing us how it should be done!